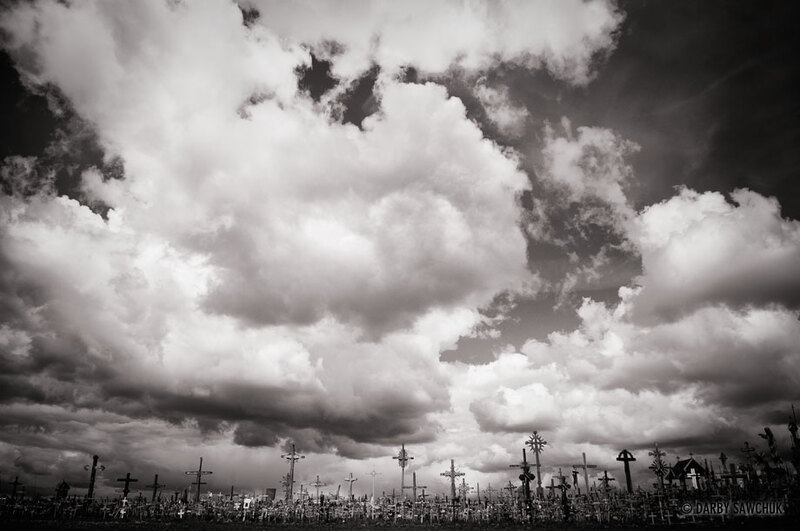 Thousands upon thousands of crosses scratch the horizon on top of two small hills in a field in Lithuania. 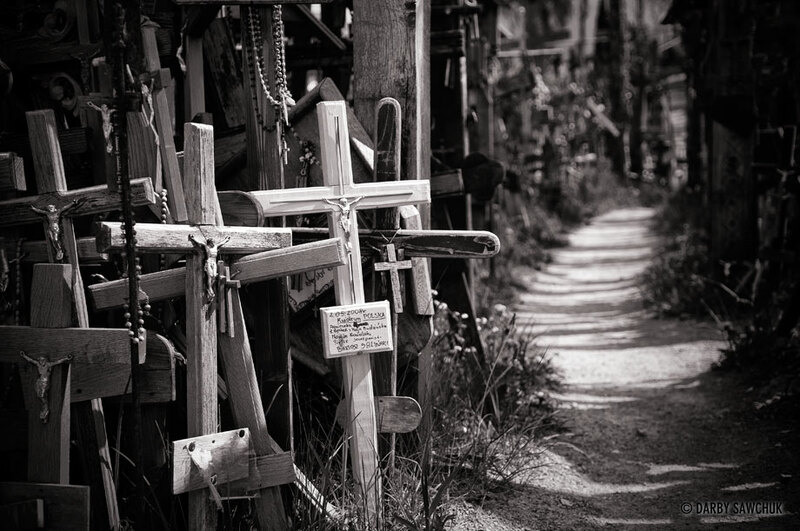 This is the Hill of Crosses. One origin tale tells the story of a farmer who was mourning the loss of his daughter and placed a cross on a nearby hill as a wish for her safe passage into the next life. The practice caught on and eventually it became a site of pilgrimmage where people far and wide would come to offer their prayers, wishes and hopes in the form of a cross. 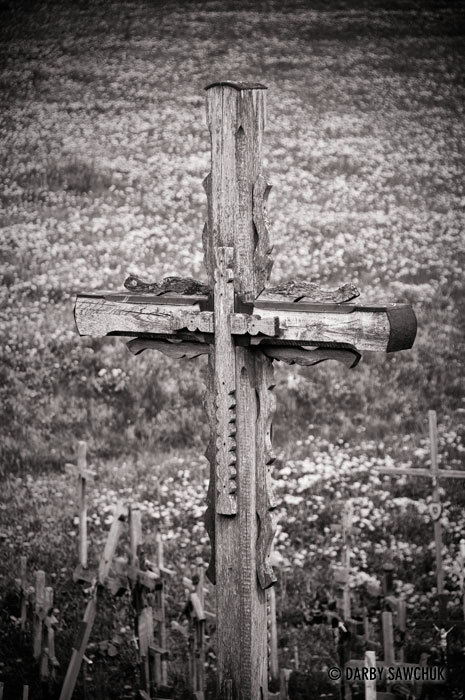 During the Soviet reign of the territory, the site was bulldozed, but visitors were undaunted and continued to plant crosses. Bulldozed again and surrounded with barbed wire, crosses were continued to be planted in the dead of night thus transforming it into a symbol of resilience. 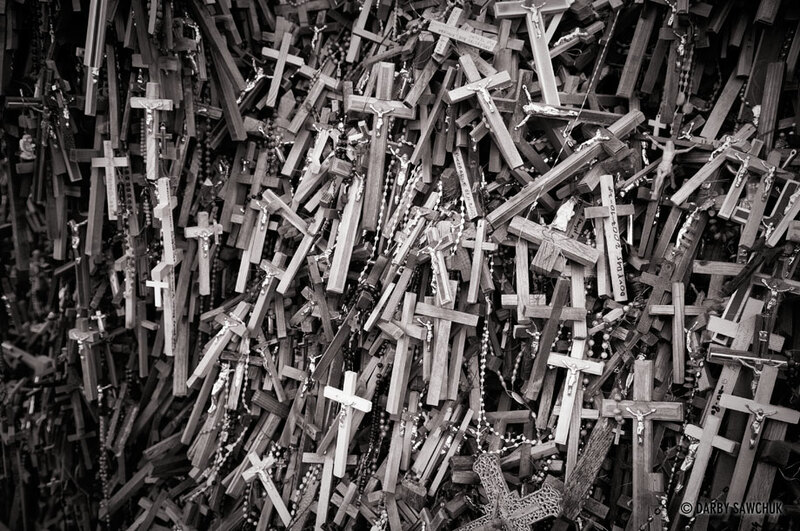 With the fall of communism, the site now flourishes and it is estimated there are now over 100,000 crosses there, each representing someone’s hope, prayer, wishes, or dream. Someone’s story. 01. 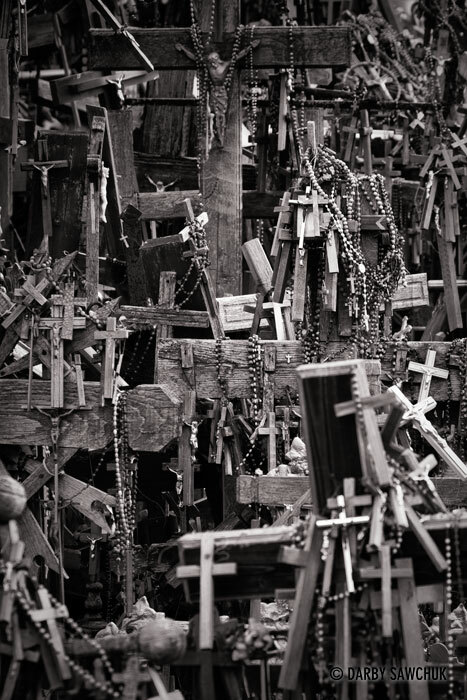 The Hill of Crosses near Siauliai, Lithuania. 02. The Hill of Crosses near Siauliai, Lithuania. 03. The Hill of Crosses near Siauliai, Lithuania. 04. 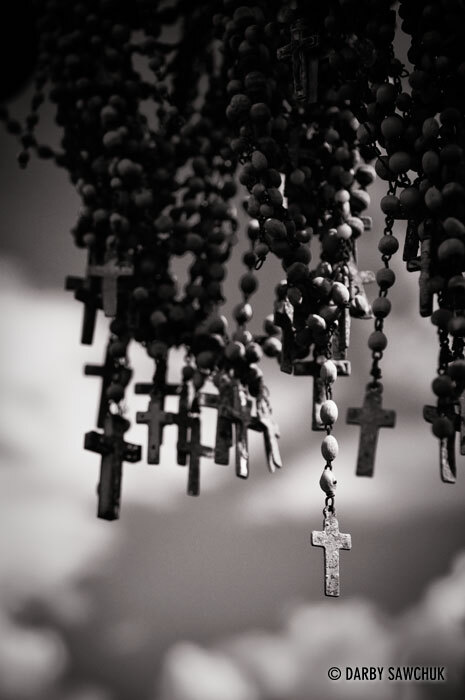 Close-up of the crucifixes at the Hill of Crosses near Siauliai, Lithuania. 05. 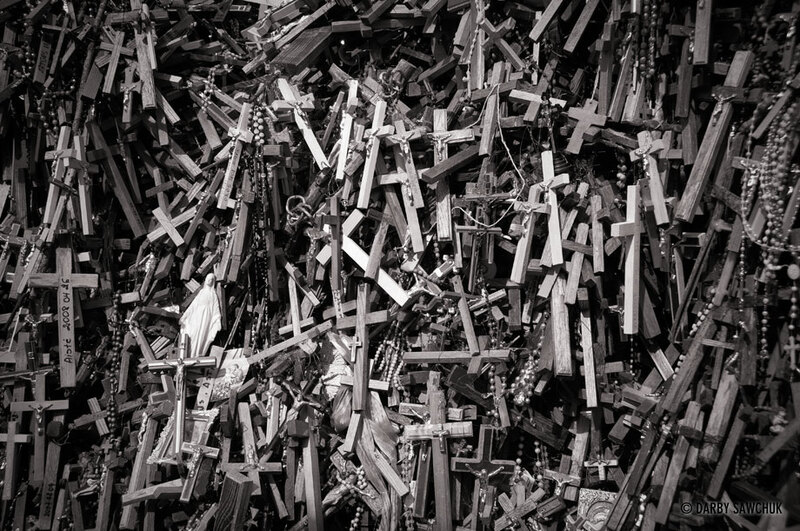 Rosaries at the Hill of Crosses near Siauliai, Lithuania. 06. 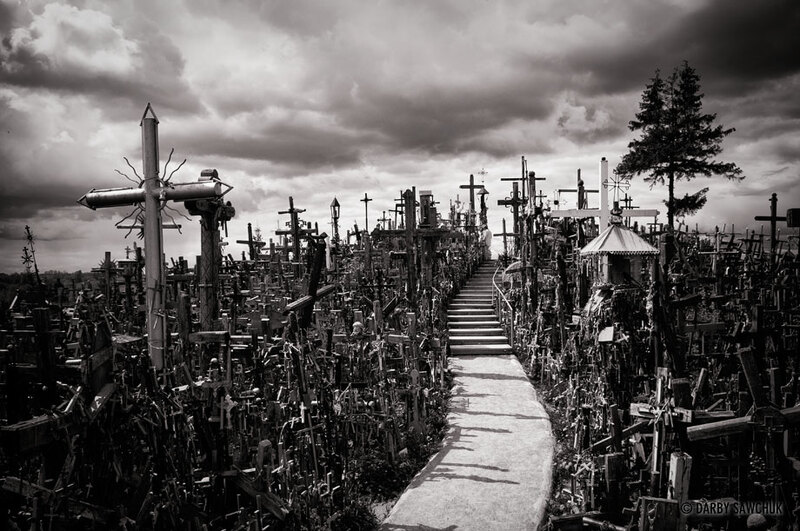 The Hill of Crosses near Siauliai, Lithuania. 07. The Hill of Crosses near Siauliai, Lithuania. 08. 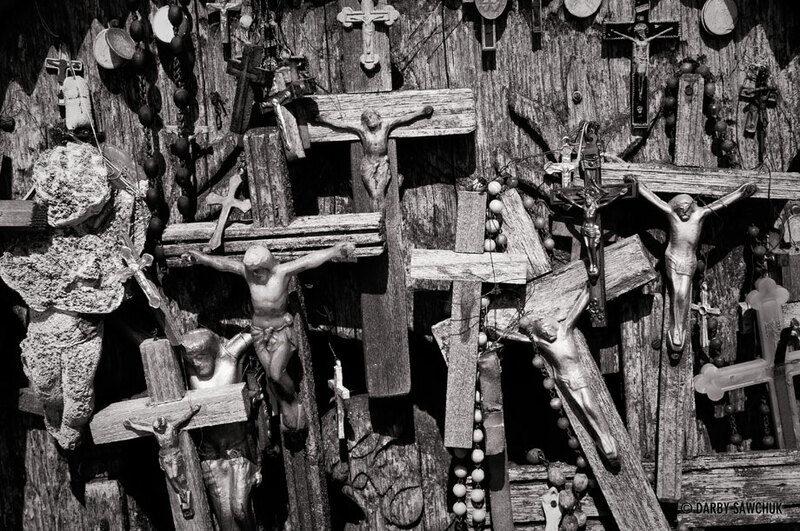 Close up of the crucifixes at the Hill of Crosses near Siauliai, Lithuania. 09. The Hill of Crosses near Siauliai, Lithuania. 10. 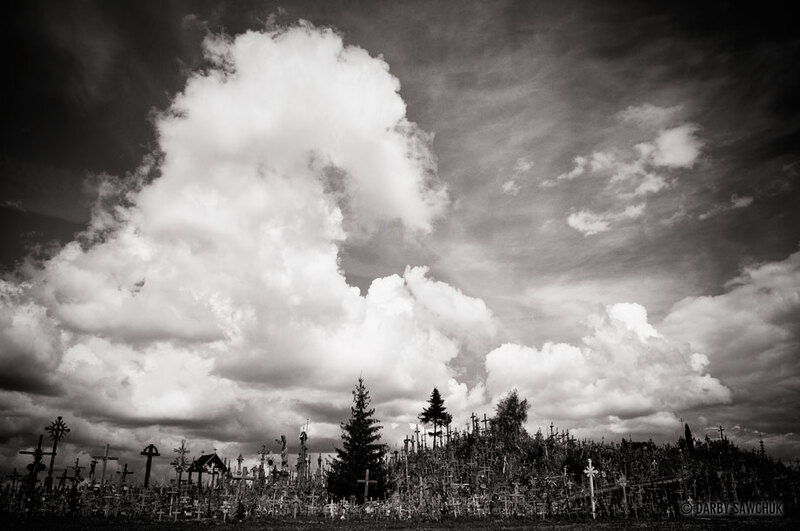 The Hill of Crosses near Siauliai, Lithuania. 11. Close up of the Hill of Crosses near Siauliai, Lithuania. 12. Close up of the Hill of Crosses near Siauliai, Lithuania. 13. 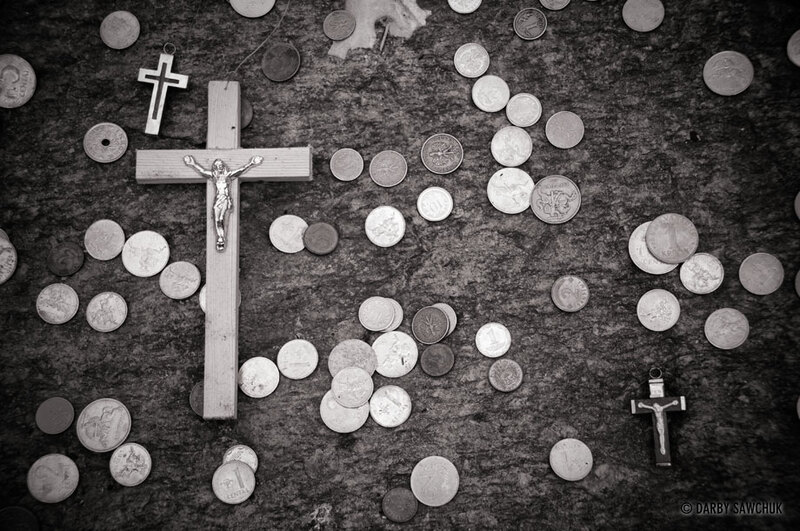 Coins left at the Hill of Crosses near Siauliai, Lithuania. 14. 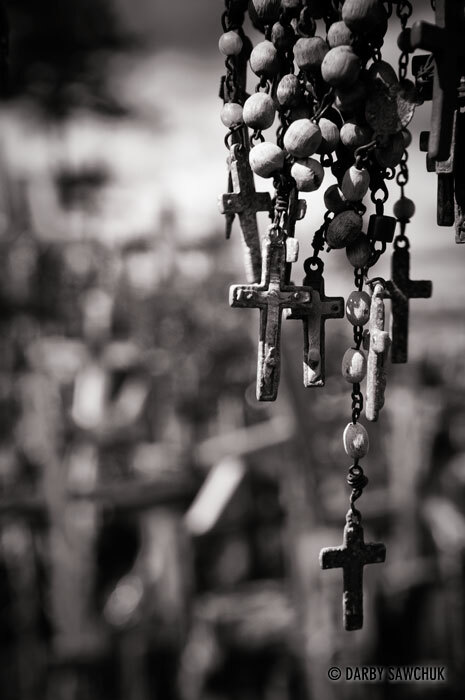 Rosaries at the Hill of Crosses near Siauliai, Lithuania. 15. 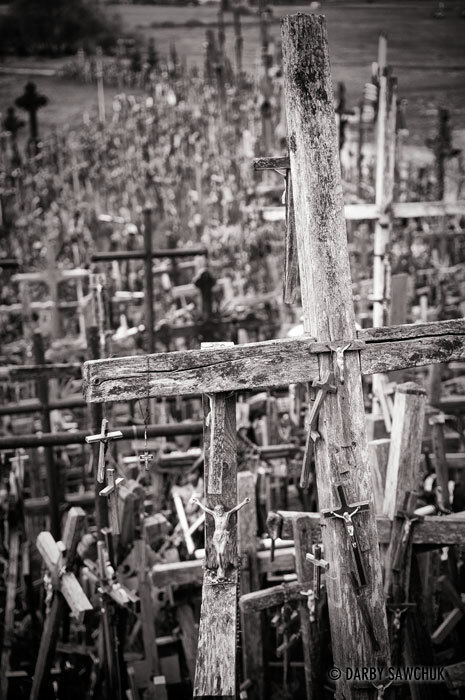 The Hill of Crosses near Siauliai, Lithuania. 16. 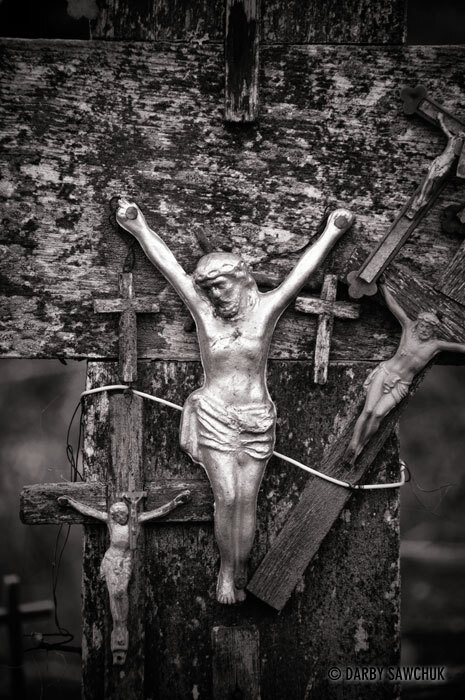 Close up of a crucifix Hill of Crosses near Siauliai, Lithuania. 17. 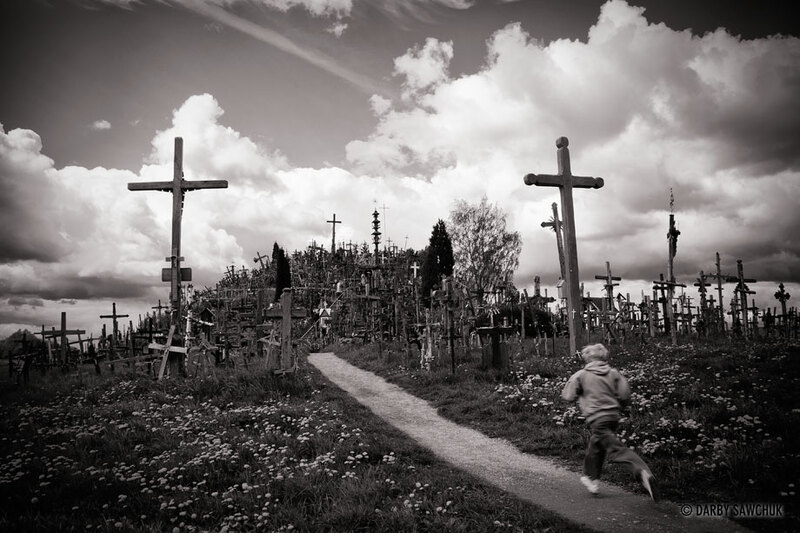 A boy runs towards the Hill of Crosses near Siauliai, Lithuania. 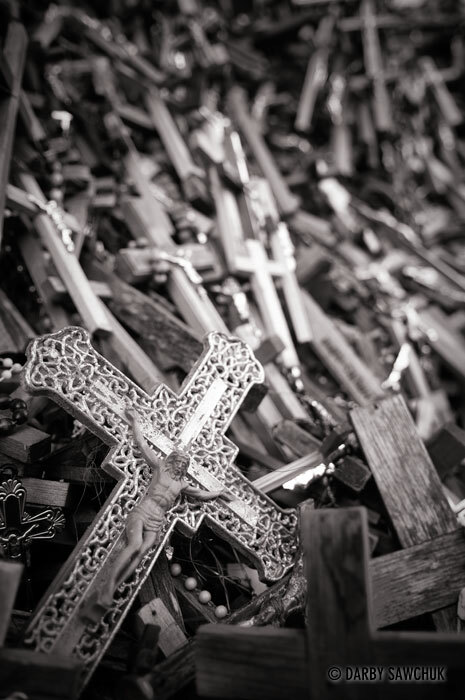 Keywords: photos of the hill of crosses, images of hill of crosses, pictures of hill of crosses, lithuania, landscape photography, travel photography, fine art prints, stock photography. 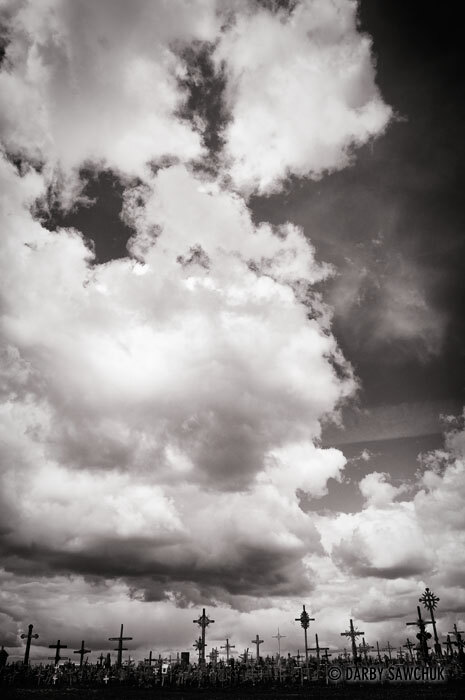 If you are interested in seeing more images, please contact me and let me know what you need. Fascinating photos, what’s the story behind this location?